We realize that children are too young to enjoy the benefits of LASIK vision correction. However, the medical team at Eye LASIK Midland wants to share the importance of protecting our little ones’ eyes. That’s why we’re sharing some tips to benefit your kiddos’ vision during Children’s Eye Health and Safety Month. Make eye protection mandatory when they are playing sports. Teach children about animal safety, as many children are injured each year due to bites and scratches. Practice firework safety. Do not allow small children to handle fireworks, particularly ones with lit fuses. Supervise activities with sharp objects, such as pencils and scissors. Avoid projectile toys. Additionally, be sure to purchase age-appropriate games and play items. Implementing annual exams and safety measures into your family routine can make a difference in your children’s eye health. All of us at EyeLASIK wish you a very safe and happy upcoming school year! Your August calendar is probably already filling up quickly. School is about to start, so that leaves you with plenty of to-dos to check off of your list. However, August is also National Eye Exam Month. The staff at Eye LASIK Midland wants to share the reasons why you should add one extra thing to your busy schedule. Approximately 75% of adults in the United States need vision correction of some sort. Therefore, it’s no surprise why you might need to get your eyes examined annually. The majority of patients who visit an eye doctor each year do so in order to get their prescriptions updated. 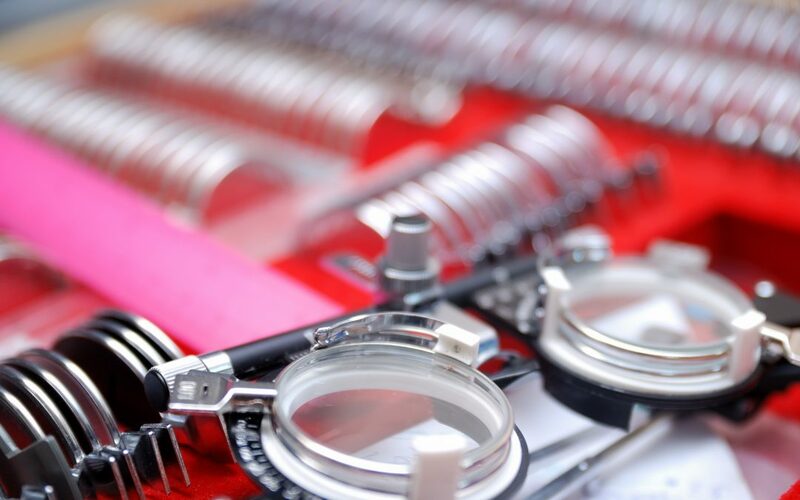 Changes in your family history are another important reason to get your eyes examined once a year. If a family member is diagnosed with conditions, such as glaucoma, diabetes, or cataracts, it’s important to let your optometrist know. Many of these conditions are hereditary. Keeping your annual eye doctor appointment can help to diagnose these conditions early, which helps with the success rate of treatment. There is an adage about the eyes being the window to your soul. However, it is true that your eyes can also be the window to your health. Many diseases are expressed through symptoms in your eyes. These diseases include lupus, diabetes, heart conditions, cancer, and more. Your eye doctor might see something in your next eye exam that could save your life. Though a brief vision test is conducted during annual physical appointments, your family practitioner is not an ocular specialist. While all physicians are trained to examine your eyes, only optometrist and ophthalmologists received specialty education related specifically to your eye health. Even though you’re extremely busy in August, Eye LASIK Midland wants to remind you that your overall eye health is important. While LASIK is a great way to improve your vision, regular eye exams should be included as part of your annual wellness plan. Happy Independence Day from EyeLASIK! America’s birthday is a wonderful holiday. Luckily, this year, it falls on a Tuesday, allowing for a four-day weekend. However, it’s important to know that even with the most fun holidays, there are certain precautions to take. 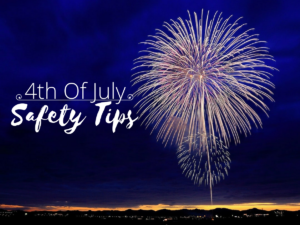 We’ve got several 4th of July safety tips to keep you and your loved ones safe the holiday weekend. While being outside on sunny days is amazing, Texas heat in July can be brutal. It’s important to make sure that guests have access to shade. Whether this is under trees or created with canopies or tents, the coolness of the shade can help people to avoid heat exhaustion. Additionally, it helps to prevent sunburns. Other shade(s) we need to mention? Sunshades! If you’re enjoying the 4th outdoors, be sure to wear sunglasses with UV protection in the lenses. Not only do they protect your eyes from sunburn (yes, eye sunburns are a thing), they keep you from squinting. And we all know that squinting causes wrinkles. Just like sunglasses protect your eyes from UV rays, frequent applications of sunscreen can protect your skin. It’s important to follow manufacturer’s instructions on reapplication, especially when you’re sweating or swimming. Additionally, we recommend using SPF around your eyes, too. Not only does it help to prevent certain cancers, it can help you avoid crows’ feet. Outdoor activities usually mean that the body will sweat more. This indicates that your body is losing water, so it’s important to replenish. Staying hydrated during the 4th of July (and all summer long) is important. However, we caution those indulging in adult beverages to alternate each drink or two with a bottle of water. This prevents dehydration and *hopefully* and hangovers. If you’re interested in how alcohol can affect your vision, check out one of our other blogs by clicking here. We’re talking barbecue grills, bonfires, fire pits, and, of course, fireworks. Embers, sparks, smoke, and fumes can cause eye irritation. In some extreme cases, fireworks have been known to blind people. When using any kind of spark or open flame, we recommend using eye protection of some sort. If you’re interested in finding out more about firework safety, please visit The National Council on Fireworks Safety or The American Pyrotechnics Association. We will be closed July 3rd and, July 4th. However, feel free to fill out an online consultation request form. We will get back to you when we re-open on July 5th. EyeLASIK wishes everyone a very safe and happy 4th of July! June means lemonade, sunshine, and weekend road trips. However, June is Cataract Awareness Month, too. As eye healthcare providers, we wanted to take an opportunity to explain a bit of information about this common eye condition. Simply put, cataracts are the clouding of the eye’s lens. A good analogy would be to think of fog on a mirror or smudging on a camera lens. 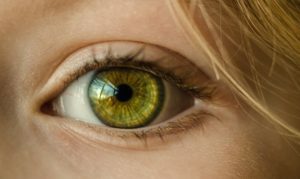 According to All About Vision, cataracts are the leading cause of blindness throughout the world and the most widespread cause of vision loss in people over the age of 40. Corticular cataracts begin in the peripheral area of the lens. Known for its “wagon-wheel” type pattern, the spokes move towards the eye’s center. Subcapsular cataracts usually occur in patients who suffer from diabetes or take steroid medications. These cataracts occur at the back of the eye’s lens. Nuclear cataracts are directly in the center of the ocular lens. This type of cataract is often found in older patients. Like many diseases, patients are usually the first to discover an issue due to their symptoms. Patients may notice blurred vision, dulling of colors, or might see light as a starburst-like pattern. However, cataracts can only be properly diagnosed by a professional optometrist. Often, doctors will try to treat the blurred vision with bifocal lenses and proper lighting. However, after these non-invasive treatment options stop working, patients have the choice to undergo cataract surgery. The surgeon removes the patient’s clouded lens and it replaces it with a clear plastic lens. The surgical option is considered quite effective. However, we recommend discussing all possible treatment options with your eye health provider. Eat a healthy diet based rich in omega-3 fatty acids, vitamin E, and lutein. In fact, you can read our blog about eye-healthy foods here. Protect your eyes by wearing UV-blocking sunglasses at all times. Stay healthy! Smokers, those with diabetes, and patients who take steroid treatments have an increased risk. See your eye doctor for regular annual examinations. Cataracts are easy to diagnose and treat when caught early. It’s almost Memorial Day weekend! Can you believe it? Unhealthy food doesn’t have to be a big part of the holiday festivities. 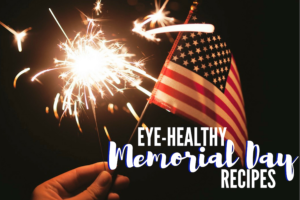 Today, we’re sharing a few of our favorite eye-healthy Memorial Day recipes. Certain fishes, like salmon, are rich in omega-3 fatty acids. These nutrients can help to prevent conditions such as macular degeneration, cataracts, and even dry eyes. In a small bowl, whisk together soy sauce, olive oil, sugar/syrup, water, garlic, and red pepper. Place salmon fillets in a resealable plastic bag and pour liquid over them. Seal the bag and allow to marinate for 2-3 hours. Heat grill to medium. Line a grill basket or small cookie sheet with foil and mist with nonstick cooking spray. Place salmon on sheet, skin-side down. Discard remaining marinade and season with salt and pepper to taste. Cook on the grill for 8-12 minutes, or until the fish begins to flake easily with a fork. Berries offer a big boost of Vitamin C, which is great for preventing several eye-related diseases. In a separate bowl, beat cream cheese, sugar, and vanilla together until light and fluffy. Carefully fold in the whipped topping until mixed. Cut the angel food cake into small, bite-sized pieces. Layer 1/2 of the cake at the bottom of a large glass serving bowl. 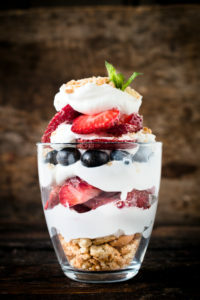 Spoon a 1/2 of the berries on top of the cake, followed by half of the cream cheese mixture. Repeat layers. Garnish with any leftover berries. All of us at EyeLASIK Midland want to wish you a safe and happy Memorial Day. Thank you to all of our troops and their families, and to those who made the ultimate sacrifice. We are the land of the free because of the brave. Happy Memorial Day! April is Alcohol Awareness Month. Part of our job as healthcare providers is to help educate our patients about their vision health. 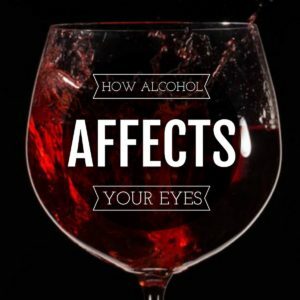 Read on for more information on how alcohol affects your eyes, over the short- and long-term. Everyone has had one of those weeks where nothing goes right. All you can think about it making it to Friday, so you can head to happy hour. However, it’s important to not throw caution to the wind when winding down with a few drinks. In addition to other side effects such as slurred speech, reduced reaction time, and lowered inhibitions, alcohol can impact your vision, too. Short-term effects of drinking too much can include blurry vision and disorientation. Keep in mind that the more you drink, the more likely these side effects will occur. For heavy drinkers, the vision side effects of alcohol are amplified. The liver acts as the body’s filter for toxics. Over periods of heavy alcohol intake, the liver function is reduced. Alcohol prevents the liver from absorbing vitamins needed for healthy eyesight, including vitamins A and B-1. Vitamin A helps with a whole host of health benefits. When the body stops absorbing it properly, your eyes are impacted. Symptoms include corneal thinning and tearing, night blindness (being unable to see in dark lighting), and possibly blindness. Healthy muscle function is one of the benefits of Vitamin B-1. When the body stops absorbing this essential vitamin, the muscles surrounding the eyes become weakened. In some cases over long periods of use, it can even cause paralysis. As we previously discussed, age-related macular degeneration (or AMD) is an incurable disease, which can lead to blindness. The American Optometric Association has identified heavy alcohol use as a risk factor for AMD. EyeLASIK Midland wants to encourage you to drink responsibly. Although an occasional beverage is enjoyable, be sure to find alternative ways to de-stress or have fun without overindulging.